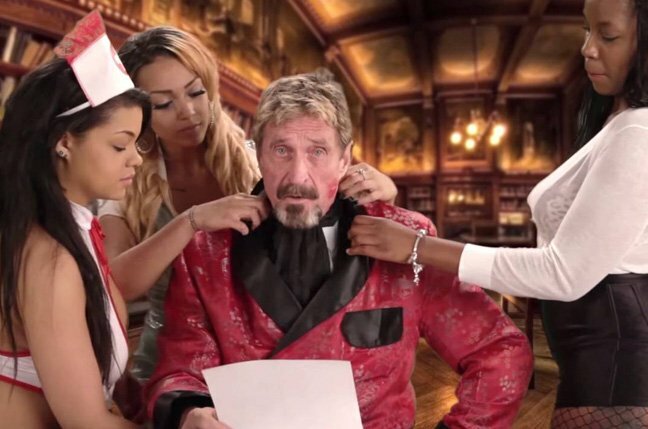 Infosec personality John McAfee has been found legally “liable” via a default judgment for the death of his neighbour, who was found dead from a gunshot wound to the head in his Belize home in 2012. The ruling (PDF) was made yesterday in a Florida district court as part of a five-year legal battle by Gregory Faull’s estate against McAfee, who spent some time living in Belize before his neighbour’s demise. Local newspaper the San Pedro Sun reported at the time of Faull’s death that the 52-year-old American retiree “was found by a housekeeper inside his living room with an apparent gunshot wound to the back of his head” in late 2012. Though local police wanted to question McAfee as a potential witness, the millionaire, who is the founder of the antivirus software firm that still bears his name, had travelled abroad. And despite the criminal investigation stalling, a civil case was later brought against McAfee by Faull’s relatives. “The Court will enter default judgment as to liability in favour of Plaintiff and against Defendant for the wrongful death of Gregory V. Faull,” ruled US District Judge Gregory Presnell, who had previously closed the case against Mac until a US Court of Appeal ruling forced it back open. Mac, however, did not appear to have engaged with the legal process, judging from a striking lack of legal filings made by him in the case, as seen by The Register – to the point where he hadn’t even hired himself a lawyer. Faull’s estate thus successfully applied for default judgment against McAfee. A bench trial has been scheduled for January 2019 to determine what damages Mac will have to pay. Mac, whose exploits while living in Belize included an interest in “bath salts” (which he explained was a joke), also involved his property being raided by local police over claims that he was running a drug manufacturing operation and had unlicensed firearms. After the raid, the Belizean authorities dropped all charges against Mac. The real thing that has come to define Mac’s time in Belize, in the public eye at least, was his neighbour’s death. When local cops searched McAfee’s home, wanting to question the one-time software developer over his neighbour’s demise, Mac was nowhere to be found. He duly turned up in neighbouring Guatemala some weeks later, having entered the country illegally (by his own admission), and attempted to claim political asylum. The Guatemalans gave him short shrift and Mac eventually wound up back in the United States.